Popular BBC One series Trust Me, created and written by Dan Sefton and produced by award-winning RED Production Company (a STUDIOCANAL company), has been commissioned for a second series by Piers Wenger, Controller of BBC Drama and Gaynor Holmes, BBC Drama Commissioning Executive, Scotland. The first series, which debuted on BBC One in August 2017 and starred Jodie Whittaker, achieved an average consolidated audience of 6 million viewers for the channel and a winning audience share across the series. The second series will feature a new cast and storyline. The 4×60’ thriller, set on the neurological unit of South Lothian Hospital, follows Captain James (Jamie) McKay, the sole survivor of a shock enemy attack on tour in Syria. Recovering from a spinal injury which has left him barely able to move and battling the psychological scars from losing his friends, he faces a new enemy as people on the ward die unexpectedly around him. But is the threat real, or imagined? Trust Me will once again be set and filmed in Scotland with the drama revolving around a hospital department in Edinburgh. Trust Me is a RED Production Company production for BBC One. It is created, written and executive produced by Dan Sefton with Nicola Shindler as Executive Producer for RED Production Company and Gaynor Holmes for BBC Scotland. Series producer is Suzanne Reid. Casting will be announced in due course. The drama commission continues the BBC’s commitment to boosting and invigorating drama in the Nations. The series will go into production later this year and will film in and around Scotland. Trust Me series two will be distributed internationally by STUDIOCANAL, a subsidiary of the Canal+ Group, one of Europe’s leading film and TV distribution and sales companies. 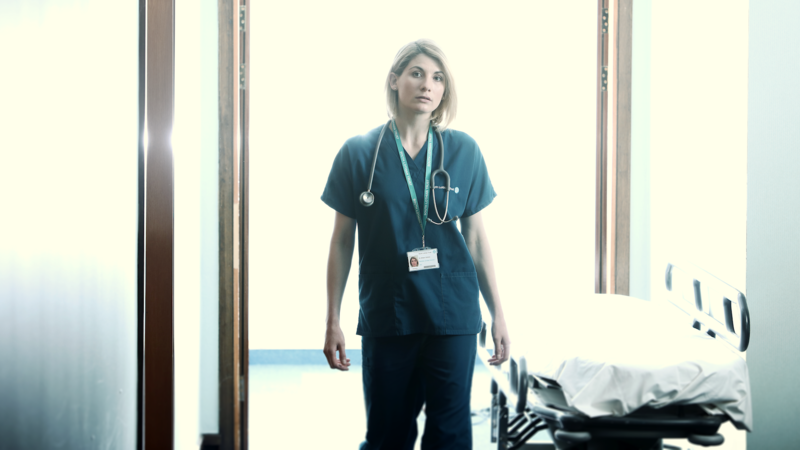 Jodie Whittaker, Emun Elliott, Sharon Small and Blake Harrison to star.